In 1994 the dye transfer process was officially discontinued by Kodak. The onetime flagship of color print making succumb to the emerging digital photography revolution. The chief use of dye transfer was in the commercial advertising industry and to a smaller extent professional photography and to a lesser extent fine art photography. Sadly, many of its practitioners lost huge investments in equipment and ultimately their livelihoods. The flexibility of the process and its nearly permanent qualities are still legendary. Most people do not know that there were two dye transfer films available. The orthochromatic dye film,Ortho Matrix 4150 film,is the one most people hear about, it was made to produce images from transparency film using separation negatives. The other was Panchromatic Dye Transfer film, Pan Matrix 4149 film, made for negative film; it did not require separation negatives. Professional labs used both types. Dye Transfer images were the only color photography accepted by museums because prints were very archival. A print had an estimated life of 100 to 400 years, depending on whom you talked to. Attempts were made to produce the dyes and film independent of Kodak. 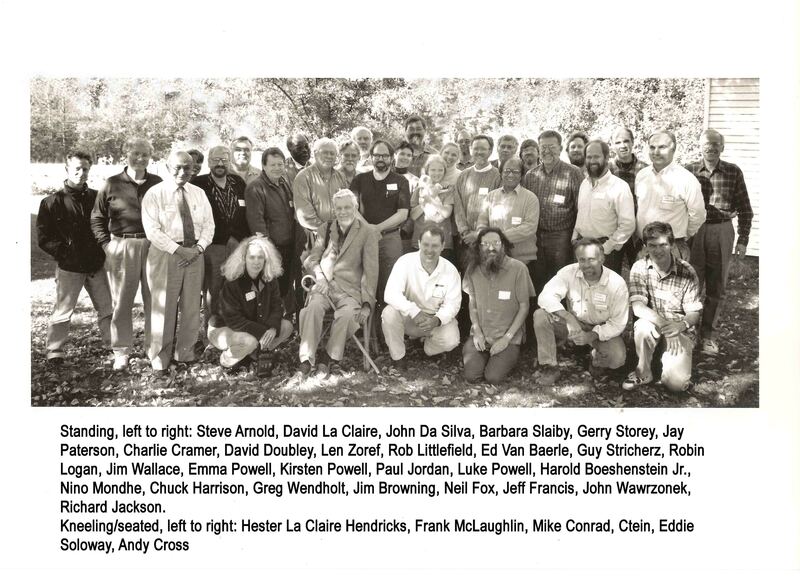 In 1997 about 30 dye transfer advocates met to discuss its future. People from as far away as Germany came. Click to see photo. An article in the January/February 1998 issue of "PHOTO Techniques" magazine, written by Leslie Limon summarizes the meeting. Click to read. I find that even today many students of photography have a keen interest in what the process was, and how it was done. It is in that spirit that I have put some videos and copies of documents and links on this page for academic research. Please note that some of this information is still copyrighted so please do not download this information for personal websites, or other social media. Promotional Video from LaClair Portraiture 1991. David LaClair is portrait photographer who, with his father, had used dye transfer since the 1930's in their portraiture work. They worked closely with Kodak during dye transfer's infancy. His company is located in Grand Rapids, Michigan. They converted to digital images in the 1990's. I was lucky to visit his studio and observe his operation. They produced huge portraits prints, done mostly in a Rembrandt style, which were incredibly beautiful. See the link. Instructional Video from Bob Pace 1989. 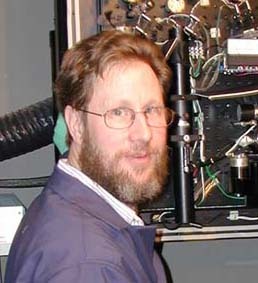 Bob Pace was a well known west coast dye transfer professional for nearly 50 years. I was saddened to hear that he passed away. He was a great guy and very willing to share his vast knowledge of this "mysterious" process. He did prints primarily for the advertisement industry. Dye transfer allowed incredible image manipulation, photo composites and retouching. Many of the techniques that are so easy to do with Photoshop, had to be done by hand prior to that. No easy task, it required a high degree of artistry and craftsmanship. 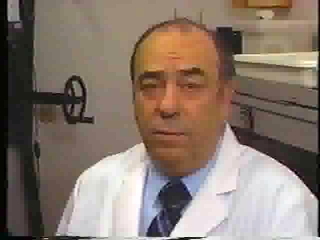 After he retired he produced a dye transfer newsletter, a book on photocomposition, and a highly detail instructional video on how to do dye transfer with an accompanying book. See the link. The Dye Transfer Process by David Doubley. This is a copy of my dye transfer manual. I am no longer selling the manual as of 2012 but want to offer it to those wanting to know more about this process. It is not printable and is to be used as a reference as are the other documents on the page. I am still willing to answer questions about its content, so email me about questions you have. The Dye Transfer Process by Charles Miller - 1978. This dye transfer manual was created Miller from his class notes. Mr. Miller taught one week seminars on dye transfer and created this teaching source book as part of the class. The manual was perfected from those classes. It was sold through the well known fabricator of professional dye transfer equipment called Condit Manufacturing. This hand typed manual presented his approach to separation making and dye matrix film processing. It is well written and quite technical. 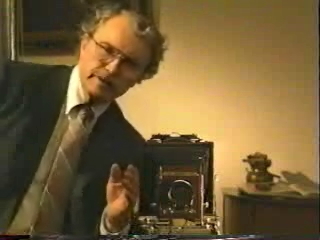 The Dye Transfer Process (thru the eyes of a professional) by Bob Pace - 1989. This manual comes with the videos (see videos) described above as part of a complete course offered by Bob Pace with the collaboration of Rick Warner and Lee Vierling. It is now longer in print or production since Bob Paces' death in the early 2000's. It is presented here for information only, and should not be copied for any other reasons.. To protect the copyright, this file has security which does not allow printing or editing. It is a very comprehensive document and should be very informative. A number of approaches are presented with an eye towards professional lab work. Kodak E-80 Manual. This is Kodak's official dye transfer manual. Frank McLaughlin, Kodak's resident expert, help publish this document many years ago. Again I was saddened to hear of Frank's passing. He was much respected by members of the small dye transfer community as well. Before he retired he worked on a revised version of this book which was later cancelled a few years afterwards. While somewhat interesting. One could not get enough information out of the E80 manual to actually learn how to do the process. Hopes were invested in the improved E-81 revision and later dashed after the process became obsolete. I will link a copy of that manuscript on this site. Cancelled Kodak E-81 First Draft Manuscript. Thanks to Bruce McLaughlin for this information. This is the first draft of the now defunct E-81 manual. It was never published. Frank McLaughlin enlisted the help of well known artists, writers and craftsmen in the dye transfer community to help write this manual. People like Charles Swedlund, Ctein, Brokaw, and Bob Pace contributed to the book. There are no photos or graphics included with this draft..
Chapter 26 from "History of Color Photography" titled "The Transfer Processes". This is an excerpt from a famous book written by Joseph S. Friedman, PhD. This is an erudite treatise on the early versions of dye transfer, called the WashOff-Relief process or Dye Imbibition. This book was very technical, so it may difficult for many to fully comprehend. Kodak Q-80 Paper "Contact Printing Lamp for Photomechanical Lamp". Document showing how to build an overhead point light source for doing contact separations. Dye Transfer Equipment Catalog Pages from Condit Mfr. The premier company for making dye transfer equipment was Condit Manufacturing. The owner,Warren Condit, had a small tool and dye shop that built many of the items used in professional dye transfer laboratories. Everything was tooled by hand and was first rate in quality. Everyone knew Condit equipment was built to last. They were specialists and could make custom designed equipment for any kind dye lab. They were known world wide for their violin maker's tools and even made those see-through teleprompters that president Reagan often used for TV speeches. Many people thought he memorized his speeches; if only they'd known. Warren retired in the 1990's and the business closed down in August of 2000. Curtis Permatone Dye Printing. This document is a legacy document of a dye printing system developed in the 1950's by a company called Curtis Laboratories. This was sent to me in 1987 as a curiosity. The dyes were in powdered form and had to be mixed by hand. They sold a printing platen and provided instructions on making separations. Making In Camera Separation with T-max film. Some artists did dye transfer with in-camera separations. While color perfection is not achieved this way, it can produce aesthetically intriguing, and painterly dye transfer images. Making Ortho Matrixes from Color Negatives. Kodak Publication 81N. After Kodak discontinued its Panchromatic Matrix film for color negatives. Color negative users were panicked. Pan matrix film's greatest advocate is a writer/photographer named Ctein. This booklet, written by Ctein, proposed a method to make separations from color negatives using standard separation techniques that would allow the use of the standard orthochromatic matrix film normally used for color transparencies.. Cliche' Verre and Dye Transfer- An Artists' Approach. 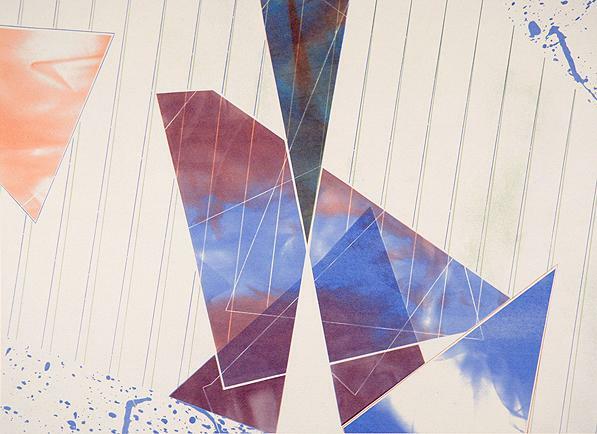 There is a print making technique called cliche' verre. Literally, "light drawings". "In brief, it is a method of either etching, painting or drawing on a transparent surface, such as glass, thin paper or film and printing the resulting image on a light sensitive paper in a photographic darkroom".This is also referred to as hand drawn/light painting. Any number of light sensitive materials can be used. Dye transfer was one of the more colorful media for this process. Henry Holmes Smith is one of the best known artist/photographers doing this. Sue Hirtzel, a protege, taught me about this process. This is an paper titled "Dye Transfer" that explains dye transfer the way an artist might use this technique. Click here to see some of Holmes' work. Color Preservation Life Article. One of dye transfer's best known properties is its longevity. Prints were predicted to last about 300 years based on standards discussed in this article. Museums accept dye transfer images as collectable. How To Make Matrix Film, 1998. I met James Browning in 1998 at a meeting of dye transfer advocates. He gave me this paper describing how to make dye transfer matrix film. You have, of course, to be able to build your own film coating equipment as he had. For more information go to a web site called Dye Transfer Site. Pan Matrix Film Processing. Here is excerpt from my Dye Transfer Manual that was removed when Kodak stopped making this film a few years before they completely stopped make all dye transfer materials. This process was designed for use with color negatives. While it eliminated the need for separations, it had it's own drawbacks. In 1980 Ctein wrote a terrific series on dye transfer using pan matrix film in Peterson's Photographic Magazine that provided access to dye transfer for thousands of amateur photographers. 1951 Kodak Data Book on Making Separations and Masks. Although it's 60 years old here is a copy of a great book on the process of making separations and masks for dye transfer and other processes. It's got material that was also used in Kodak's E-80 dye transfer manual. Dye Transfer Newsletters - called KEEPING PACE. From 1987 through 1995 Bob Pace produced a series of newsletters dealing with his methods and observations dealing mostly with dye transfer. This link has 98- eight page newsletters written by him. I have cataloged them as tribute to Bob in the hopes students can gain from his vast knowledge as a commercial dye transfer printer. His style of writing is unique and reflects the straight forward manner in which he spoke. Dye Transfer Dyeing [Dye Formulas] by Morey A. Bard. This pamphlet was written by Mr. Bard with the encouragement of Frank McLaughlin. Mr Bard was a textile chemist, with an unusual Bachelor of Textile Chemistry degree from Lowell Textile Institute in 1930. He passed away in the 1990's. His specialty was textile colorants (dyes). His interest in Dye Transfer printing and his insight into dye transfer dyes prompted the development of his own dyes. He turned this interest into a small business called B.E.E. (Bard Experimental Enterprises) which sold a variety of alternative dye transfer dyes. He also sold this little pamphlet which contains the formulation for dyes, and other dye process chemistry. While a degree in chemistry would certainly help anyone reading this document, I still believe a determined reader should be able to understand most of the information without much trouble. "Dyes For Imbibition Printing", Photo Techniques Magazine 1940 This article is about the dyes used in the old "dye imbition" process, a precursor to the newer dye transfer process. Included is a chemical formulation sketch of those dyes, done by Morey Bard in 1984.